Not that kind of woman…. So a bit of a different update, because there’s just nothing whatsoever going on in the TTC world for me – I have an HSG Test on the 7th April and we aren’t allowed to try before it, and since it’s after my fertile window, this month really is out for us. More on that in another update I think. Today is a reflection and an understanding that I’m never going to be one of those women who appear to have it all together -do you know the type I mean? Perfect hair and clothes that don’t seem to bobble or lose their shape. They don’t trip up on the street and they don’t lose their bank cards every other month. They don’t ever seem to have more than one bag, whereas I often do a good impression of a bag lady and sometimes lug around two or three (all full of crap). I bet if you put your hand in the bottom of their handbag it would be clean, not full of biscuit crumbs, old mints and 67 shop receipts. Please don’t be offended if you are one of those women, I would like to be a little more like you sometimes, but I’ve accepted it’s unlikely to happen! A little example? Ok so on Thursday I had to head into London for a fairly important meeting. I attempted to wear my “smart” work clothes which was a black shirt and grey skirt (exciting I know). So I got up pretty early and got dressed practically in the dark. I grabbed a pair of black tights from the spare room where they had been drying and pulled them on. What I didn’t notice, was that Lucy, my cat, must have at some point fancied a snooze on my clean washing, and my tights were covered, (and I mean COVERED) in white fur. 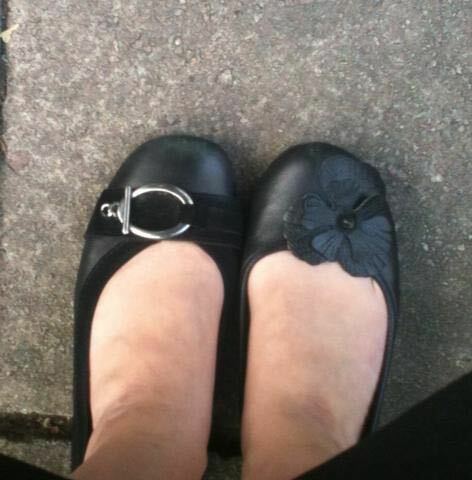 I only notice this however when I get to the bus stop. And do you think those bloody little hairs would come off? Oh no. It was like they were superglued. It was also pouring with rain, which aided the whole glue effect. Picture weird hopping around whilst simultaneously trying to brush down my legs. So I get into London and head to Starbucks for a drink as I”m early (I can at least manage my time, if nothing else). I fumble around for a pen to make a few notes, but all I can find in my bag is a bright pink pen with a little bear holding a flower hanging from it – are you f*cking kidding me?!! My cousins daughter had got it for me for my birthday, and although it’s sweet, it’s hardly appropriate for a meeting. So instead of enjoying my tea, I spent the next ten minutes trying to break the chain with my teeth between the bright pink pen and the little bear. Hardly the look of sophistication, and why do I never see this sort of thing happening to other people?! I love this!! I once went shopping and realized after an hour that I had two different colored sandles on! Same design, 1 black, 1 brown. 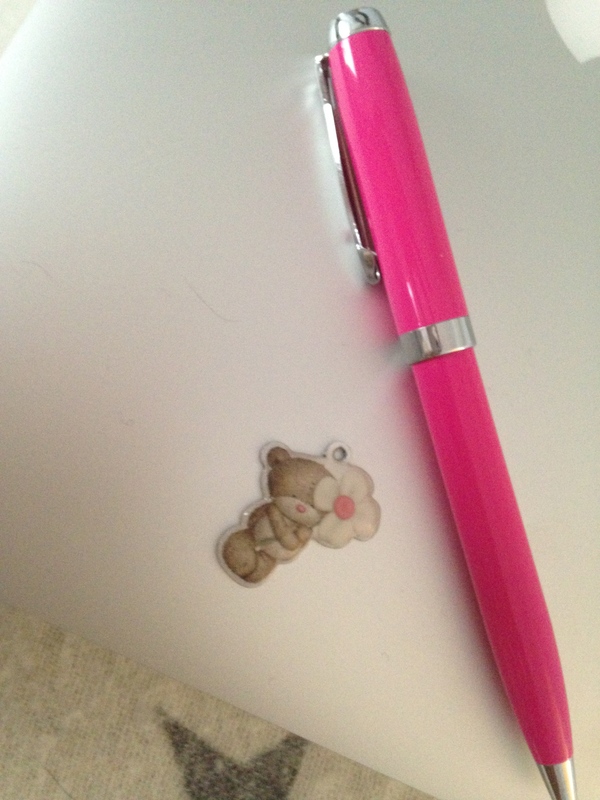 I also turned up to my final exam for my masters degree without a pen….nothing…not even a pink pen with a bear on it. I hear ya sister – nothing but biscuit crumbs in my handbag. Haha – you’ve made me feel better about my biscuity bag! If I scrape the bottom of my bag I end up with crumbs all under my finger nails! Perhaps you will start a new trend with the different shoe thing! My teenage nieces wear different socks these days as the new trend. I once showed up to a huge masters program exam in a cute dress, stylish necklace, French twist and big fuzzy slippers. Oops!! I love this post because this is the way I am. Hugs to you! Hilarious! And see, I’m totally the sort of person who would see you with the pink pen (post-bitten-off-bear) and think wistfully “Wow, some women put so much thought into every little detail of their ensemble — look at that adorable pink pen!” 🙂 If I can manage to put together five different outfits in a workweek, it’s a miracle — if I could wear the same thing every day, I would. When I was a kid I really wished my school had a uniform so I wouldn’t have to think about what to wear every day, and now I’m sort of jealous of lab scientists who just get to slap on a white coat! i once made notes in a business meeting with a pencil with a plastic “Nijntje” on top, it’s a cute little white bunny with an orange dress. Did I mention it was huge? Très professional. and there’s no such thing as perfect women. if they look perfect, there is surely something else wrong with them. like my collegue who was always mrs. perfect and now she took some time off because she can’t handle work/life balance any more. Oh wow I am EXACTLY the same! I have recently forced myself to buy a new bag. Which has now taken place to be the only bloomin’ one I use…not how I intended! You might not see it happening to other people because we all try to look as invisible as we can when we notice haha! I’ve never done the odd shoe thing, but I HAVE walked out the house to work with no shoes on, got to the end of the road and wondered why my feet hurt. Haha – yeah me and elegant aren’t ever going to be friends!